Robert Sher-Machherndl is a former principal dancer with Dutch National Ballet and Bavarian State Ballet, and choreographer and artistic director of Lemon Sponge Cake Contemporary Ballet in Boulder, CO. He shares his thoughts on what exactly contemporary ballet entails, and the past, present and future of the form. 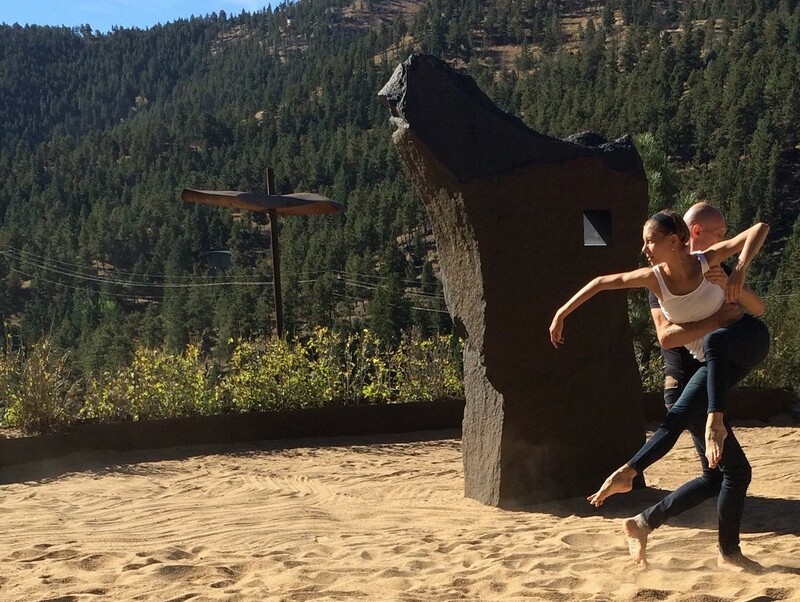 This interview is part of a series on contemporary dance. How would you define contemporary ballet to someone without a background in dance? In contemporary ballet, you take the ballet technique, but after that, anything goes. It’s essentially up to the individual choreographer what he /she does with the technique, what theme or music is used, and how the dancers are used. There are no rules. The difference between contemporary dance generally, and contemporary ballet specifically, is the latter is very refined. When you specifically work with ballet dancers, they have refined technique. And when you apply that technique to the contemporary dance mindset, I think something magical comes out. The ballet dancer is so highly skilled in their technique and body, a choreographer can take it and do whatever they want, and its magic. What training would you recommend to a dancer interested in pursuing contemporary ballet? It’s difficult because there’s no such thing as a contemporary ballet teacher. In order to be a contemporary ballet teacher, you must also be a contemporary ballet choreographer. It definitely helps students to work with contemporary choreographers while they also train in classical ballet. But even then, it depends what choreographer you work with, as contemporary ballet varies so much from choreographer to choreographer. Lemon Sponge Cake Ballet offers workshops that are designed for students to learn what it’s like to work with different choreographers. The key is working with many people, as there is no specific contemporary ballet technique. When did contemporary ballet emerge? I would say contemporary ballet started with Pina Bausch in the 1970s. What she did was not ballet per se, but she worked with ballet dancers. From Pina Bausch came Jiří Kylián at Nederlands Dans Theater and William Forsythe at Frankfurt Ballet. This continued through the 1980s, and they are now big names in the dance world. While Jiří Kylián definitely developed contemporary ballet, I think the man who truly did the form justice was William Forsythe. He used the pointe shoe, which Kylián did not. Kylián’s pieces are very beautiful, but much more simple. Though it took him many years, Forsythe had the financial resources to take great risks. He himself said that if he had worked in America, there would be no William Forsythe as we know it. Nowhere else but Germany could he get that kind of money to do whatever he wanted. I don’t want to say he was lucky; he worked very hard. But he was in the right place at the right time. I believe William Forsythe is the true genius in contemporary ballet. Additionally, I would like to mention that I met Alonzo King of Lines Ballet when I first moved to the U.S., and he has been a mentor to me ever since. I believe him to be a leading force in today’s contemporary ballet scene. That brings me to my next question: Because contemporary dance is inherently new and perhaps risky, what are the successful funding models for contemporary dance? It’s like every other ballet company or small non-profit organization. You find your financial pool in whichever city you are in. Of course, it depends on the city or state, and how much money is allocated for the arts. If you’re lucky, you find a private donor who loves what you do and says: “Do whatever you’d like. Here’s the money.” That’s what happened to Balanchine and the New York City Ballet with Lincoln Kirstein. In the United States, you don’t see as much risk-taking as in Europe because there aren’t the resources. In ballet companies around the United States, you see contemporary ballet, but it’s generally machine-washed and very careful. If you look at the emerging choreographers, for instance, they are often re-imagining Balanchine’s style, which is beautiful, but not really risk-taking. I’m not saying it’s perfect in Europe, but those big opera houses, especially those in Germany, still have state funding. There’s Stuttgart Ballet, Hamburg Ballet, Dutch National Ballet, Paris Opera, Royal Ballet and others that have the resources to take risks. And, conversely, there are ballet companies in Europe that are not taking risks. It depends on the directorship. People say the financial pool in Europe is tightening, but it’s still huge compared to the United States. They still have so much money that it makes regional ballet companies in the U.S. look like they are working with nothing. But I also think the quality of contemporary dance depends on the individual choreographer. If you stay true to yourself, you can still take risks. If you’re a true artist, you will find ways to do it. What do you perceive is your contribution to the contemporary ballet world? Just a few days ago, someone stopped me and said they thought Lemon Sponge Cake was a great contribution to the city, and to keep doing what we’re doing. Our past two pieces were public art projects. We got funding from the cities of Denver and Boulder, as well as through private donations, and produced performances in public. We used important and relevant themes to the community. Our pieces are not just for the sake of dancing; they are for the sake of making people think. Our audience has to work. They might think about the work for the next weeks, months or maybe years. You take care of your community first, and then let the work spread. What do you see as the future of contemporary ballet? The future is and was Pina Bausch. She used everything – voice, music, dancing, acting. Choreographers and dancers keep going back to her work. Even William Forsythe goes back to Pina Bausch. She was in the forefront. When she started working, people were shocked. They asked: “Is this dance?” But then obviously she became well regarded. People are doing again today what she already did. It’s difficult to say where the future is headed. Choreographers are always emerging and trying new things. It’s important to keep classical ballet alive, but it’s also important to bring in and excite young people. As choreographers, we have to touch on the lives people are living. With the recent elections, so many people are upset, including myself. I think choreographers are trying to bring out these relevant themes in their work, so the future of contemporary ballet is tied to daily life. We’ve been doing that for a long time at Lemon Sponge Cake, bringing into the studio what’s going on in the environment or on the street. I think that’s the future, whether it addresses a local or political issue. In every piece we create at Lemon Sponge Cake, there’s always a challenge. The most important thing is to challenge yourself. Robert Sher-Machherndl, a native of Austria, has worked as a dancer, choreographer, teacher and artistic director. After performing extensively in Europe, he was granted the privilege of the US visa type Alien of Extraordinary Ability. 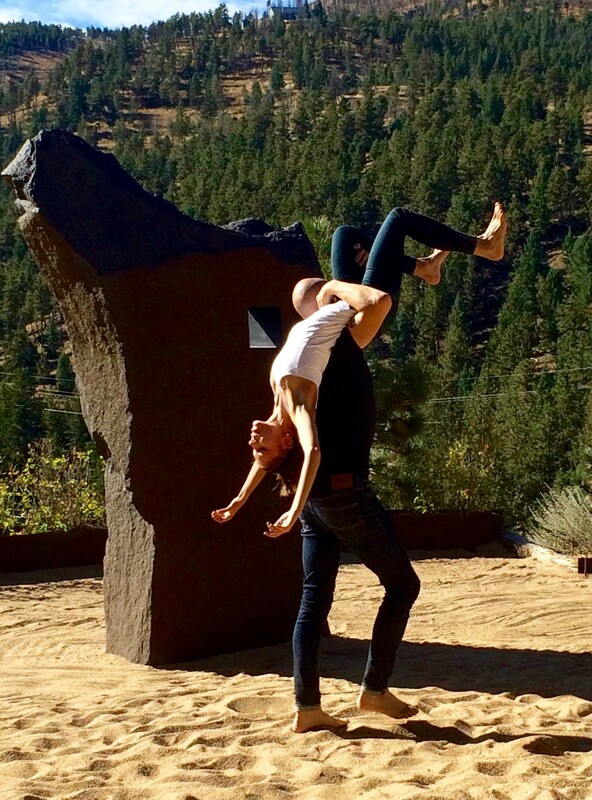 Robert is a founder of Lemon Sponge Cake Contemporary Ballet, based in Boulder, CO. He has created over 25 evening-length works, and has choreographed for the Finnish National Ballet, Vienna State Opera Ballet, Bavarian State Ballet, Scapino Ballet, Salzburg Ballet and more.